Each grid type has several static functions defined with which you can construct grids of various shapes. There are also mechanisms for defining your own shapes. Let’s take this example step by step and see how the resulting shape is formed. 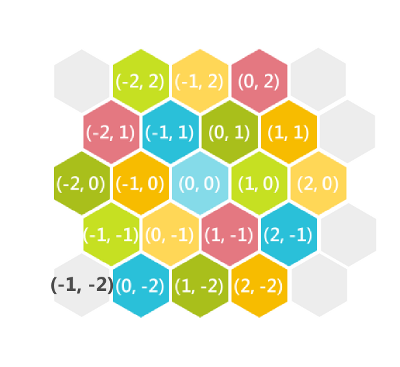 This creates a 2×11 fat rectangle. Notice the origin is in the bottom left corner; this is the default position for fat rectangles. The next line translates this shape. Note that the coordinates change, but the actual position of the grid in space may not change (this depends on the map you use). You can now see the bottom left corner has coordinates (6, -4). This corresponds to our translation. The Union operator must be followed by a shape operator. It combines the shape built before to the shape that immediately follows the union operator. In this case, we combine it with another fat rectangle, this time with dimensions 8×3. 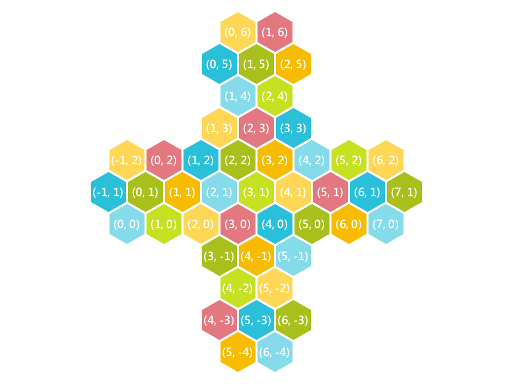 As before, the new fat rectangle’s bottom left corner coordinate is (0, 0). The final line translates the entire shape by the given amount. This translation puts the origin at the center of the cross. As before, the bottom-left corner of the newest fat rectangle is now at coordinates (-3, -1), which corresponds to our translation. Union: The resulting shape has the cells contained by either shapes. Intersection: The resulting shape has the cells contained in both shapes. Difference: The resulting shape has the cells contained in the first shape that are not in the second shape. Symmetric Difference: The resulting shape has the cells contained in the first shape and second shape that are not in both. Translate is the only transformation operator provided. The second method allows you to specify a function that tests whether a cell is in your grid or not. 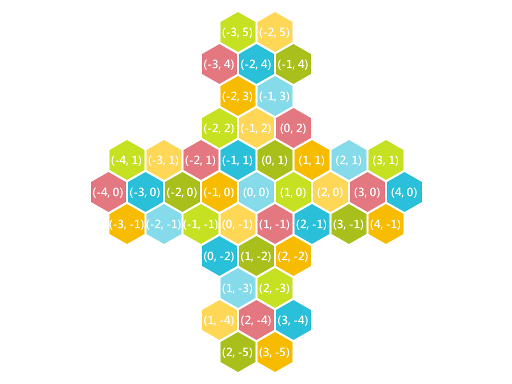 You can do this by using the constructor of the grid. You will also need to specify the dimensions of the storage rectangle, and a possible offset. 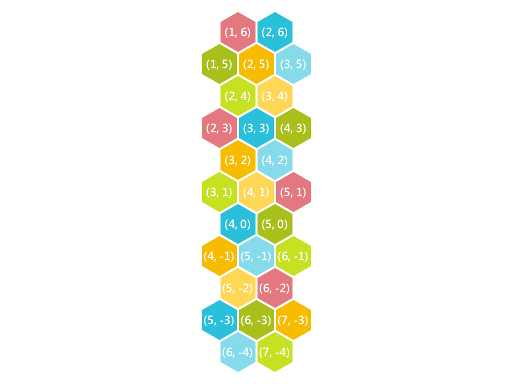 The image below shows the hexagon in its storage rect, and the coordinates of the bottom left corner that we need to use for the offset.